We are more than the sum of our body parts, illnesses or injuries. Our physical selves propel us through the natural world, but our emotional, psychological and spiritual selves help us navigate it—from birth through old age. So in receiving care for our physical bodies, shouldn’t the well-being of our whole selves be considered? Shouldn’t that include our personal histories, values and the people who matter to us? Enter the Institute for Human Caring. Launched in 2014, the Institute is spearheading change in the way Providence St. Joseph Health cares for patients in every stage of life. The Institute’s vision is simple: Serve as a catalyst for making whole person care the new normal across the U.S.
“We are promoting new expectations in care. It’s now normal for you to be asked what matters most to you,” says Ira Byock, M.D., founder and chief medical officer of the Institute for Human Caring, and one of the nation’s most influential leaders in hospice and palliative medicine. The full range of patients’ needs must be addressed—especially people living with serious medical conditions. It’s not just their physical ailments that require care, but also their emotional, psychological, social and spiritual experience of life. “Whole person care” applies the principles and skills of palliative care; focusing not just on patients’ medical needs, but also on their overall well-being, whether they’re having a routine checkup or being treated for a serious diagnosis. What would whole person care look like to you or a loved one? Your doctor and health care team clearly understand your personal values, preferences and priorities related to medical treatments. An advanced care planning conversation is a routine part of your care, so that your medical care is personal, not prescriptive. Whole person care is about feeling known and valued as a person. Consider this: Let’s say your 83-year-old father has early dementia, and then finds out he has a cancerous tumor on his kidney. His doctor recommends removing the kidney, but that comes with risks: If the other kidney doesn’t perform, he’ll have to go on dialysis. Plus, it’s possible the anesthesia could advance his dementia. If nothing is done, the cancer will likely spread, ending your father’s life. Surgery, or not? That’s a major decision to make. Has the doctor initiated a conversation about your father’s priorities? Does he know how your father feels about his condition? Has the doctor asked about an advanced directive, giving someone your father trusts clear authority to speak for him if he is unable to speak for himself? Is the family being included in the conversation and supported as well? Palliative care exemplifies whole person care for people who are seriously ill. Palliative care teams focus on providing patients with relief from the symptoms, pain and stress of illness, regardless of the diagnosis. The goal is to support the patient’s physical, psychosocial, spiritual and existential needs, improving the quality of life for the person who is ill, as well as for the family. Over the past three years, Dr. Byock and the Institute for Human Caring have been focused on taking the approach of palliative care and applying it to all patients across the Providence health system. One way to apply palliative care principles to all patients is by involving them in decisions about their care, and ensuring families are listened to and receive support. Another aspect of this level of care occurs behind the office front desk. By optimizing electronic health records, patients’ priorities are immediately available to their care team. Educating providers is also a component. “We’re teaching doctors and nurses advanced communication techniques, so that they can better listen to patients and families, and gently inquire about what matters most to them,” says Dr. Byock. The Institute’s online and print resources, including advance directives, guide patients and families in discussing crucial concerns, and help them work with health care teams to make the best choices—even when there are no perfect decisions. The Institute for Human Caring promotes direct engagement with communities, as well, making a point to learn about the preferences and priorities of those in the areas they serve. For example, what’s right for a Native American family may not be right for a Korean-American one. 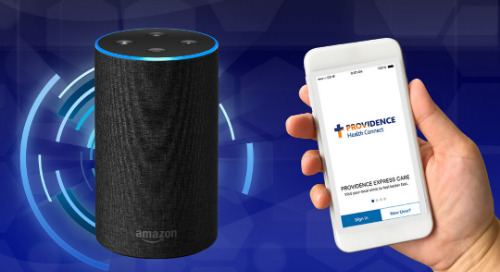 If you’d like to learn more about the Institute for Human Caring and whole person care, visit providence.org/institute-for-human-caring, where you’ll also find information on advance directives.